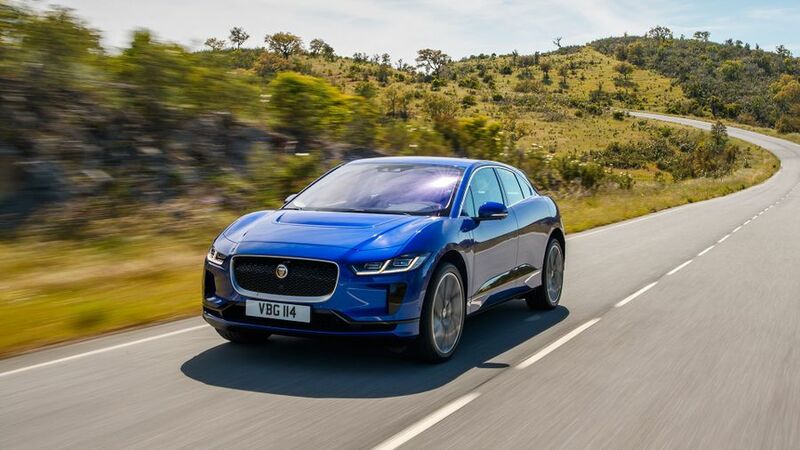 There’s no denying that the I-Pace is an impressive technological achievement by Jaguar. The performance is sensational, it’s good to drive, enormously practical, high in quality and hugely desirable. And crucially, the impressive real-world range makes electric motoring a viable option for a lot more people. For many of those people, though, it’ll be prohibitively expensive, because all that technology – and all those battery cells – don’t come cheap. And those who can afford it will also be considering super-talented and super-desirable rivals like the Tesla Model S for similar money. As choices go, that’s a real toughie. Interested in buying a Jaguar I-PACE? 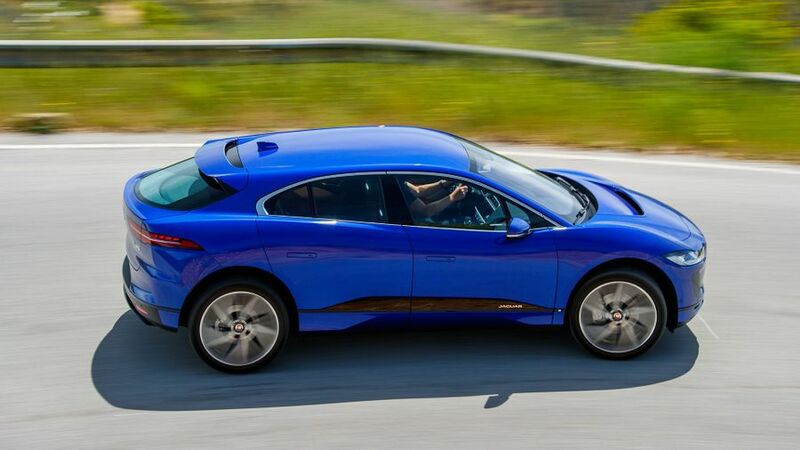 If there’s one area of the car market that’s growing as rapidly as electric vehicles at the moment, it’s SUVs, so it’s no surprise that Jaguar has chosen a faux-by-four silhouette for its ultra-fashionable electric car. In truth, the overall proportions bear more resemblance to that of a jacked-up hatchback, but it’s still a very arresting-looking car. You’ll notice that the wheels are pushed out to the four corners of the car, and large air intake that slashes into the bonnet is another interesting feature, However, it’s the rear end, with its high, squared-off design that really makes it stand out. All versions of the I-Pace have LED lighting front and rear, a rear spoiler and flush door handles that disappear into the bodywork. Aside from the size and style of your alloy wheels (S trims gets 18-inchers while SE and HSE get 20s), there’s not much to visually differentiate between the various trim levels. This is an area in which some Jaguar models deliver a rather patchy performance, but the I-Pace does a better job than most. In terms of quality, some Jags feel a little bit flimsy around the edges, with some of the incidental parts not being finished to quite the same quality as the rest of the cabin. The finish in the I-Pace is rather more consistent and detailed, and there are very few places where the materials betray the feeling of sophistication. 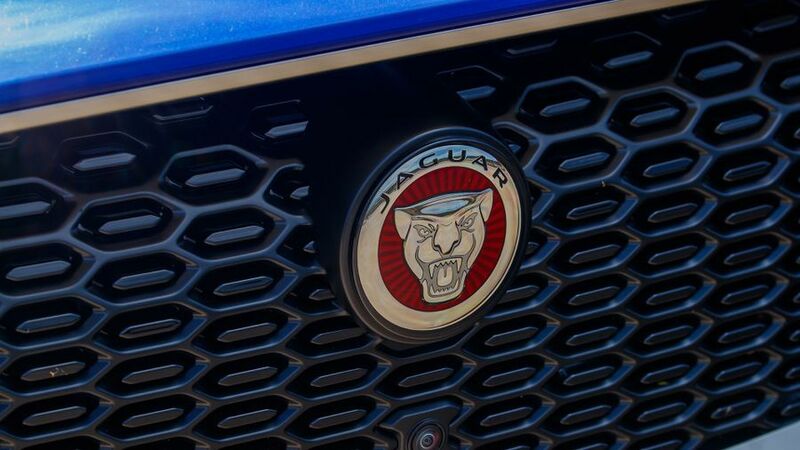 The build quality generally feels more solid and substantial than other Jaguars, too. There’s also a fairly sophisticated feel thanks to a pair of high-definition screens that take care of pretty much all your functions – of which there are a great many - and you also have access to a variety of specially designed apps. 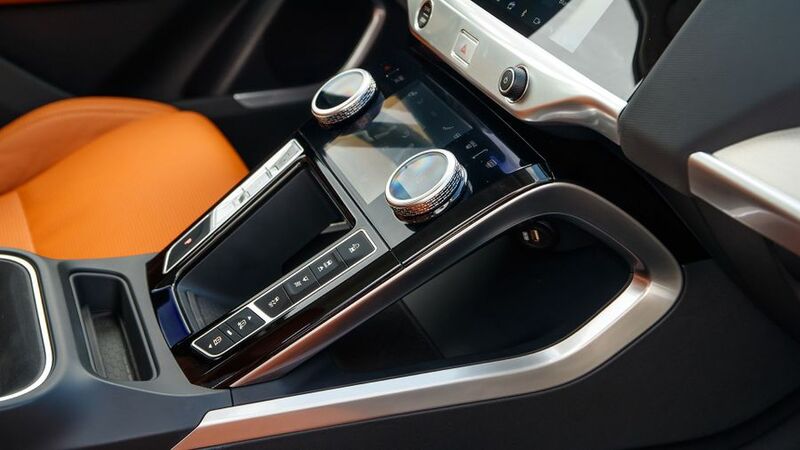 You can check the car’s range, charge status and location on your smartphone, and if you give it a couple of weeks, the car can learn your preferences on things like temperature, radio station and seating position, and serve it all up to you as soon as you get in. The functionality is all very clever, but in reality, using the screens can be a bit bamboozling because there’s just so much going on, and swiping between the various menus and navigating through them isn’t always the easiest. Rear visibility is also very limited due to a rear window that’s tiny and oddly shaped, and flanked by bulky pillars for good measure. One of the many benefits of an electric car is that you don’t have to design it around an engine and gearbox, and that gives the designers far more freedom over how to use the space available. And in the I-Pace, it’s used very effectively. The wheels are pushed out close to the four corners of the car, giving it an enormous wheelbase in comparison to the length of the car, and that’s great news for legroom. There’s bags of the stuff in any of the five seats, and headroom is generous, too, so tall passengers can stretch out in comfort. A wide middle seat and plenty of shoulder room also mean carrying three across the rear bench isn’t out of the question. The boot is very impressive for volume at 656 litres, and there’s no load lip to get in the way when you’re hauling in heavy items. 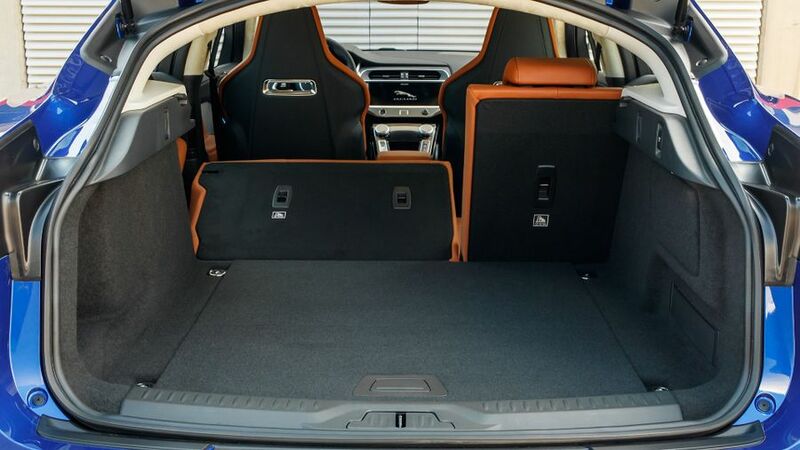 You can also fold down the rear seats for even more space, but the backrests don’t lie completely flat, meaning you might have to push your items up a slight slope. As it always does with all its products, Jaguar is aiming the I-Pace at the sportier end of the EV market. To that end, it’s the stiffest car Jaguar has ever made, and it also happens to have 50/50 weight distribution. 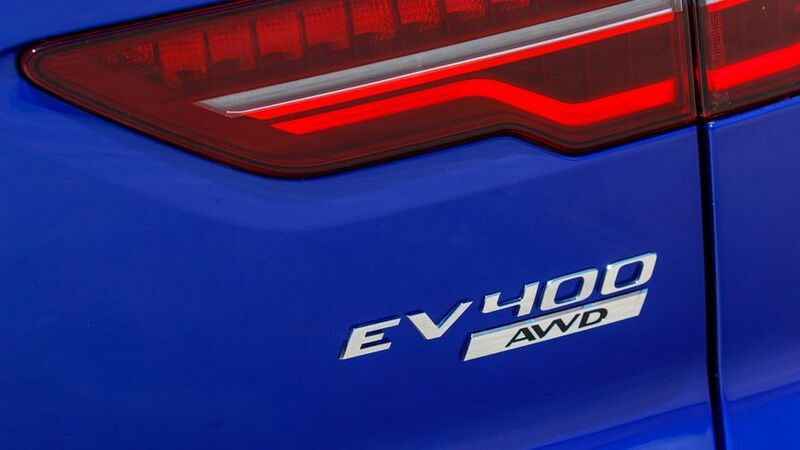 The body is also made from 94% aluminium to help keep weight down as much as possible, but due to the heavy battery pack needed for the car’s impressive range, it still weighs in at well over two tonnes. Tip the car into a corner, and you can feel every ounce of that mass sloshing over to the outside wheels. 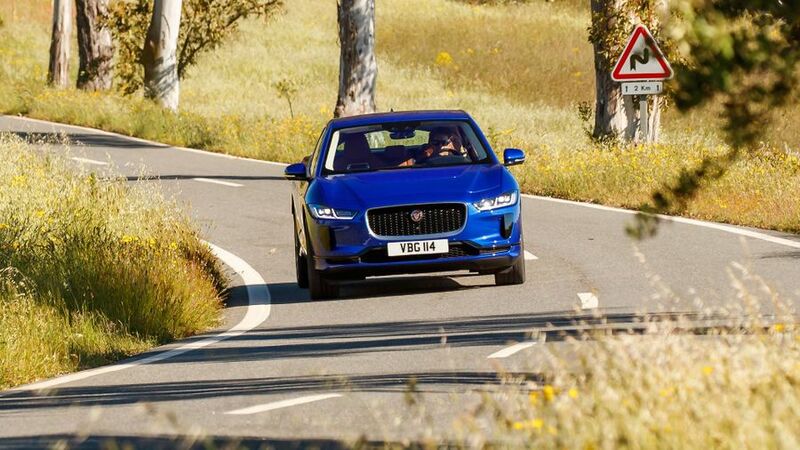 Once that initial slosh has passed, though, the car actually settles into the bend quite well and the four-wheel drive gives you bags of grip and traction. The steering is pretty satisfying, too, with nice weighting and consistent responses. In truth, the car is way too weighty to have the outright agility that Jaguar would have you believe, but considering the amount of weight you have to carry, it’s still an impressive engineering achievement. The ride on the cars we’ve tried is actually a bit floatier than you might expect, but while it feels impressively comfy to begin with, things quickly start to become bobbly and unsettled over rougher surfaces. It’s also worth noting that all the cars we’ve tried so far have been fitted with the optional air suspension, so we still have no idea how the car will behave on its standard steel suspension. 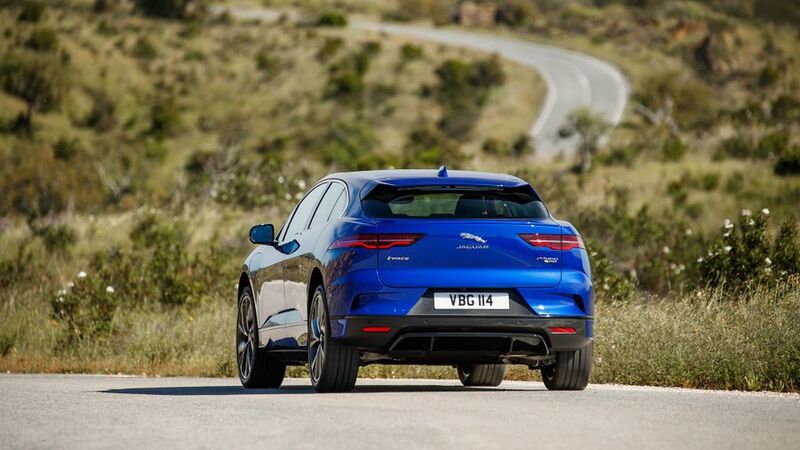 The I-Pace has two electric motors – one to power the front wheels and one to power the rears – which have a combined power output of 400 horsepower. That’s proper sports car territory. More important than the power, though, is the torque, and that’s even more generous. What’s more, all of an electric motor’s torque is available the instant it starts spinning, meaning that the I-Pace’s incredible muscle is always readily available. The result is that whenever you pin the accelerator pedal – whether it’s away from the mark or picking up speed on the move – you’re treated to properly eye-widening acceleration. The 0-62mph dash takes 4.8 seconds, but if we’re honest, that number doesn’t do justice to the urgency with which you’re hurled towards the horizon. And, as you’re going like the clappers, there’s an eery shortage of mechanical noise to be heard. That said, there is quite a lot of road noise to be heard at a steady motorway cruise. No electric car is cheap compared with conventional cars of a similar size, but the I-Pace is really, really not cheap. Even when you factor in the Government’s plug-in car grant contribution, prices still start at around £60,000, and the prices climb pretty steeply as you progress through the range. There’s also still some uncertainty over the resale values of electric cars, and it’ll be no different here. There’s no option to lease the battery, either, which means you’ll be lumbered with the full cost of replacing it if and when that time comes, assuming you still own the car by then. Still, charging up your car is obviously much cheaper than filling it with petrol or diesel, and electric motoring also earns you all sorts of tax breaks and exemptions. 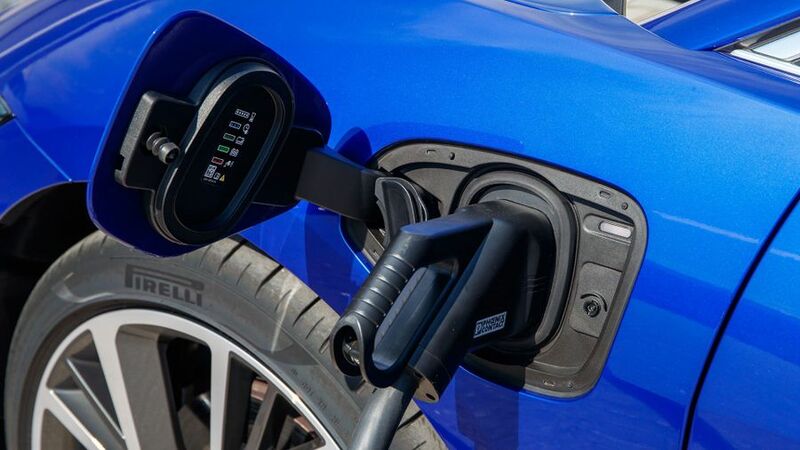 Charging the battery from empty up to 80% full takes 10 hours on a domestic 7kW wallbox, but if you can find a fast charger, that charge takes less than 90 minutes on a 50kW connection and just 40 minutes on a 100kW connection. A full charge can take you up to 298 miles, but much will depend on the prevailing conditions and your driving style. Obviously, it’s way too early to conclusively comment on the I-Pace’s reliability one way or another, but there are one or two things that might provide some clues. Warranty Direct’s Reliability Index places Jaguar above its premium rivals (Audi, BMW and Mercedes) in the manufacturer standings, but all these carmakers sit quite a way down in the bottom half of the table. Look at the problems that do occur with the Jags in the study, particularly the newer models, and they’re often electrical. JD Power's 2017 Vehicle Dependability Study makes for more positive reading, placing Jaguar just above the industry average for reliability, and again above its premium competition. Our Jaguar owner reviews also report quite a high number of glitches with Jaguar products, and again, these are often electrical. That might well start ringing alarm bells when you’re talking about an electric Jaguar. 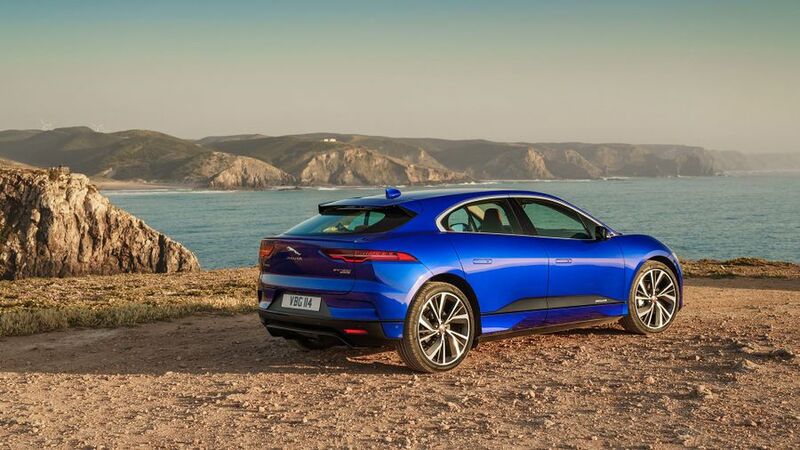 Now, you could take the view that the I-Pace bears very little mechanical resemblance to any Jaguar before it, and so enjoys a clean slate. However, you could also take the view that the I-Pace represents an entirely new engineering challenge for the company, so the firm is in unchartered waters. However you see it, it’s true that more than a couple of the cars on the launch event we attended encountered trouble, although it should be pointed out that these were very early pre-production examples. The I-Pace hasn’t yet been crash tested by Euro NCAP, and it remains to be seen whether it ever will be. All versions come with six airbags to help keep you safe in the event of an accident, along with electronic driver aids like automatic emergency braking and lane keep assist to help you avoid having one in the first place. The SE model adds a blind spot assistant to the standard car’s safety roster, while the HSE adds active cruise control with a steering assistant. For the amount of money the I-Pace costs, you’d expect a fair amount of luxury equipment, and luckily, the car doesn’t disappoint on that score. The entry-level S version comes with automatic lights and wipers, two-zone climate control, cruise control, front and rear parking sensors, a rear parking camera and high-grade stereo system that also incorporates sat-nav, Bluetooth and DAB. You also get synthetic leather upholstery, while SE trim upgrades this to genuine leather, and it also earns you adaptive cruise control with a stop-go traffic function and a powered tailgate. The HSE’s powered tailgate also get gesture control, meaning it can be opened by waving a foot in the right place, and you also get a 360-degree camera and seats that are heated and cooled. There are many reasons you might buy an I-Pace, including its looks, its practicality, its speed, its dynamic polish, its desirability, its quality, its equipment and the generous range that makes it a realistic electric car proposition for more people. The thing is, all those bases are already covered by the Tesla Model S, which costs a similar amount to the Jag. Which you choose will be down to personal preference, but for a lot of well-heeled early-adopters, it’ll be a very tough call to make.